I have been meaning to write this for some time now but life gets in the way. 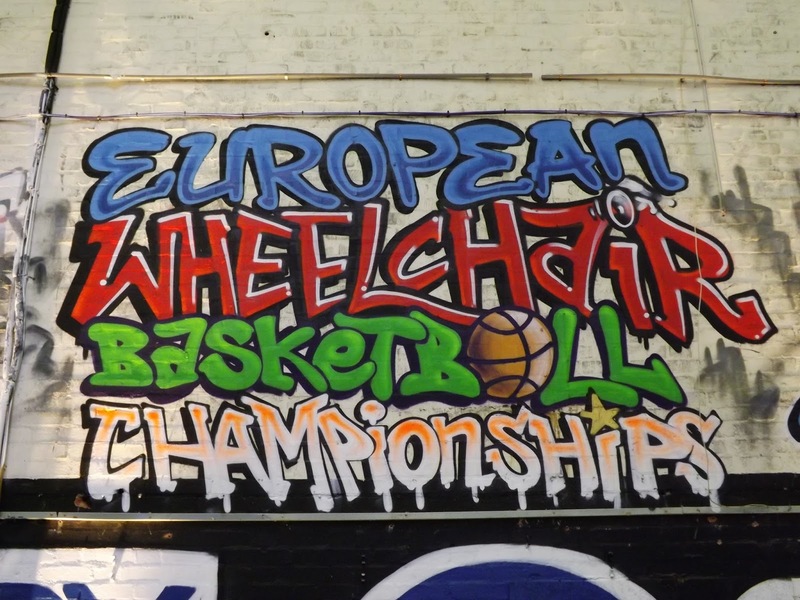 Earlier this year I was in Worcester for the European Wheelchair Basketball Championships. Some people might of thought what another tournament Rebecca? Well this wasn’t just any tournament, it was my chance to combine the two things I love, crafting and basketball. Also it was the qualifying tournament for European nations to go to Rio in 2016. So what do I go and do, suggest another creative project to do alongside my officiating duties. Well, I am so glad I did. 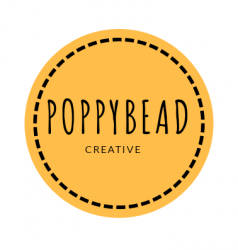 I contacted some other photographers and wanted to work alongside other people who produce some fantastic photography. Things didn’t go to plan but you can’t foresee this happening. I wanted to capture the story of the championships and the following people were kind enough to be part of my story. 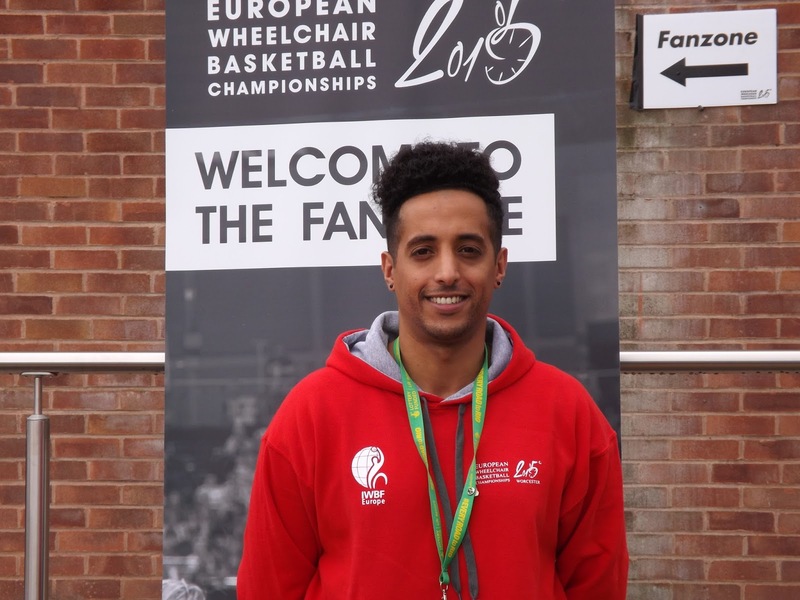 The championships had a fan zone, giving people the opportunity to try wheelchair basketball, watch the games, learn to graffiti, get more information about sporting wheelchairs and learn more the University of Worcester. Graffitiartist.com was in the fan zone throughout the championships not just in person but he sprayed a mural and a number of logos on the walls and some of these were captured in time-lapse videos and you can watch one here. 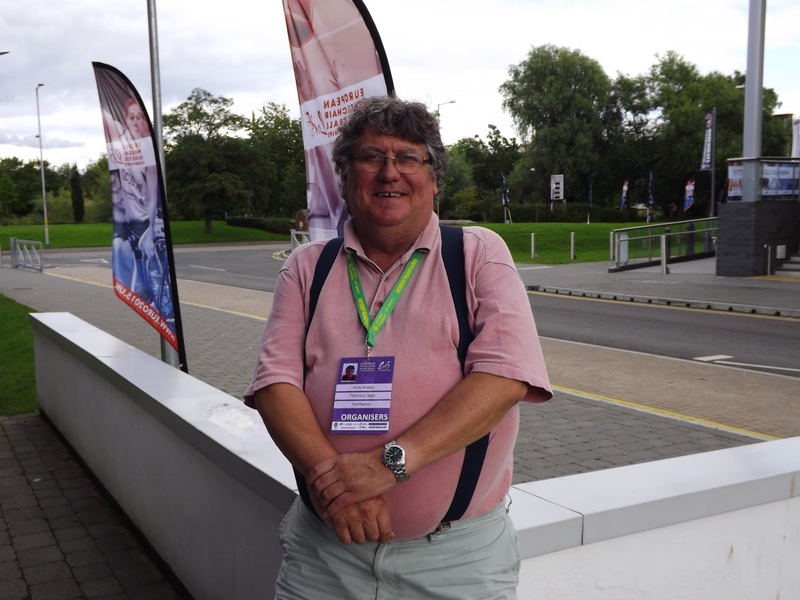 Malcolm is the chairman of British Wheelchair Basketball, he is extremely approachable and a good bass player. 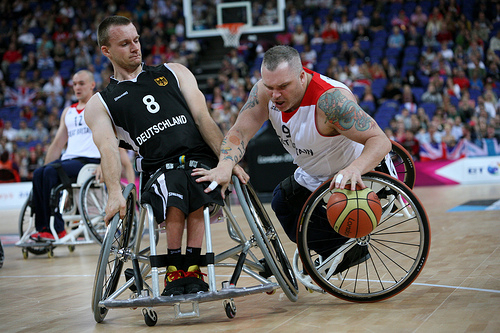 He is so passionate about wheelchair basketball it radiates from him. Matt is a friend and fellow table official, he is a team player and is always looking out for people. 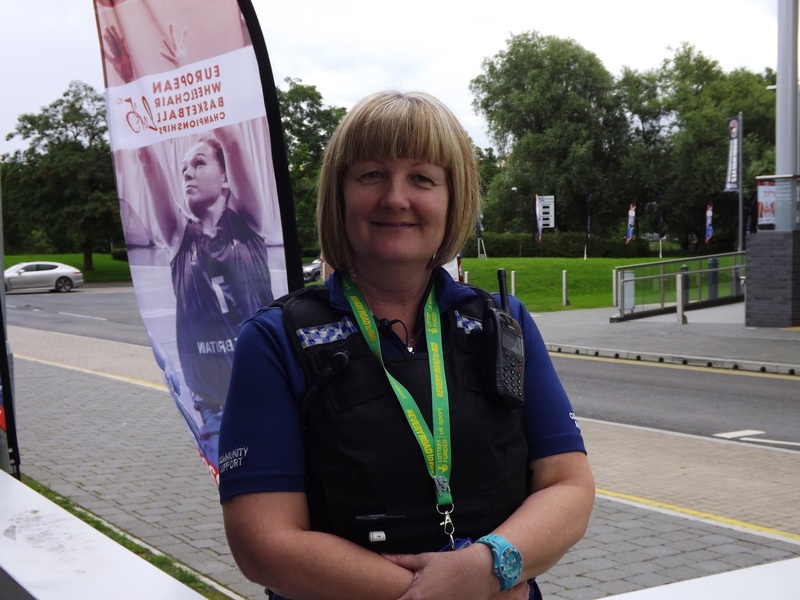 Lee was the local engagement officer for the championships. Leading up to and during the championships I kept bothering Lee with my creative ideas. Thanks for listening. Maurice was one of the first people I spoke to at championships. 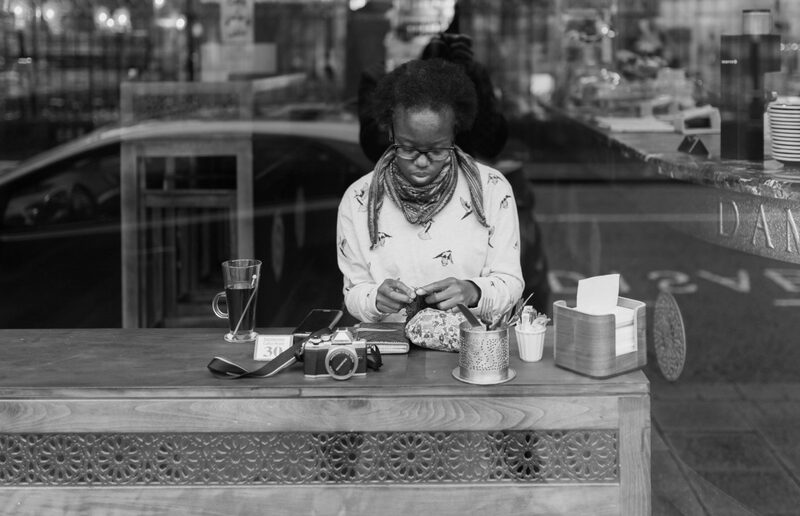 He had a smile that said ‘let me ask if I could take his photo’, he said yes. 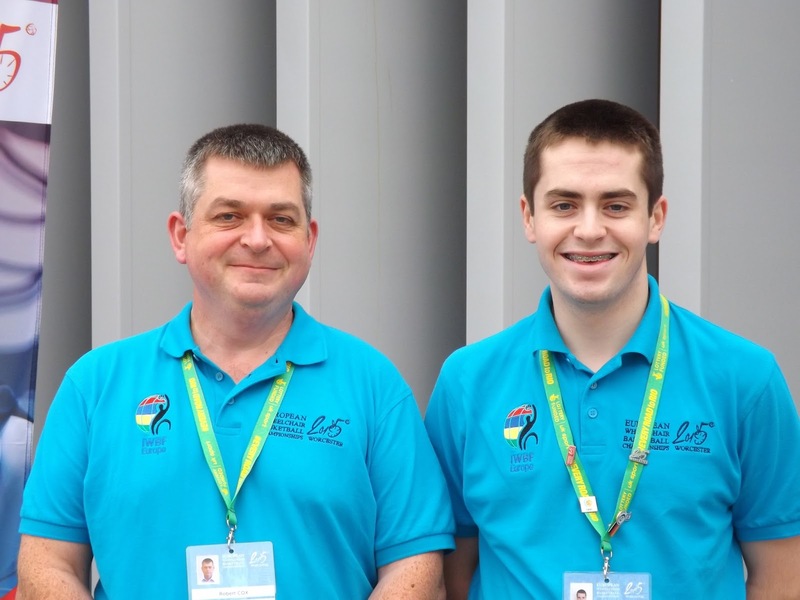 Alex and Steve like all the staff and volunteers put in some serious hours, but they were always smiling. 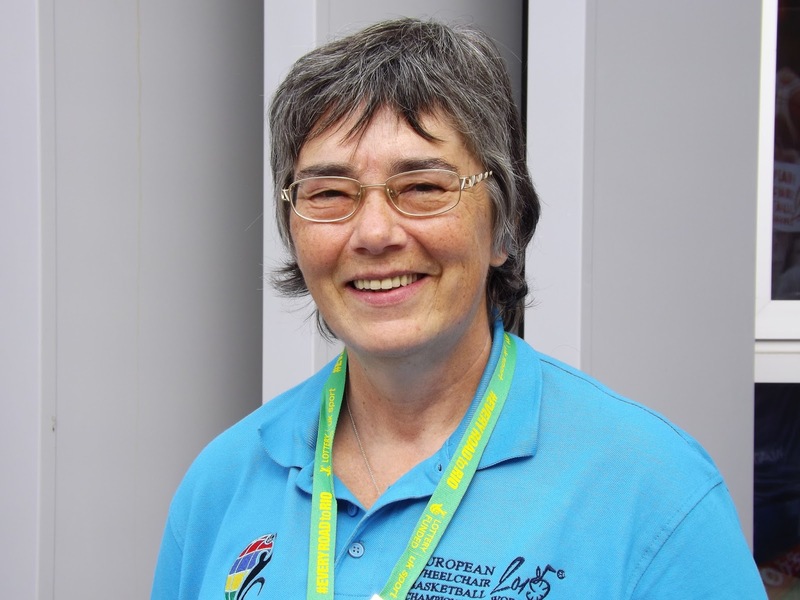 Carolyn has such a commitment to Wheelchair Basketball, she covers some serious miles to get to tournaments and games. Planes, trains and automobiles comes to mind when I think about the travelling she does and I really admire this commitment. 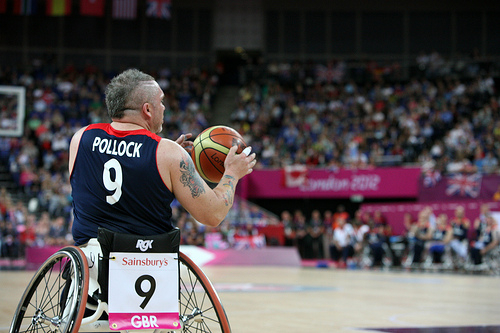 Joe has a level of knowledge about the game of Wheelchair Basketball that made him an ideal commentator. His commentary was great to listen to on the online feeds. 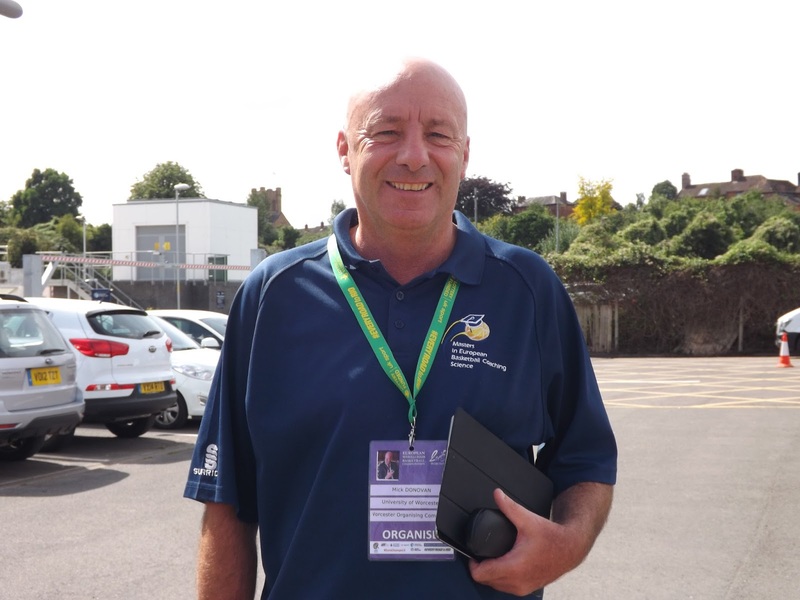 Mick is the Head of Institute of Sport & Exercise Science at the University of Worcester. 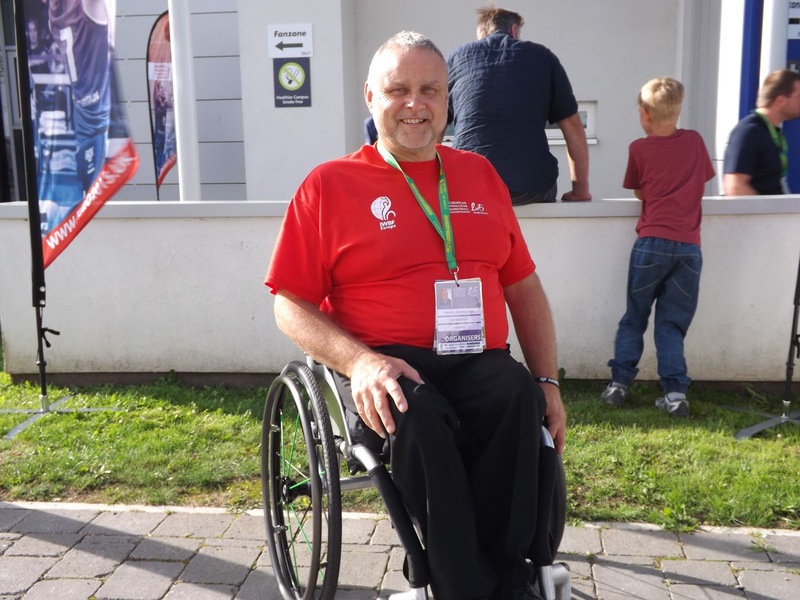 I have come across Mick many times and he has always been approachable and enthused about Wheelchair Basketball. 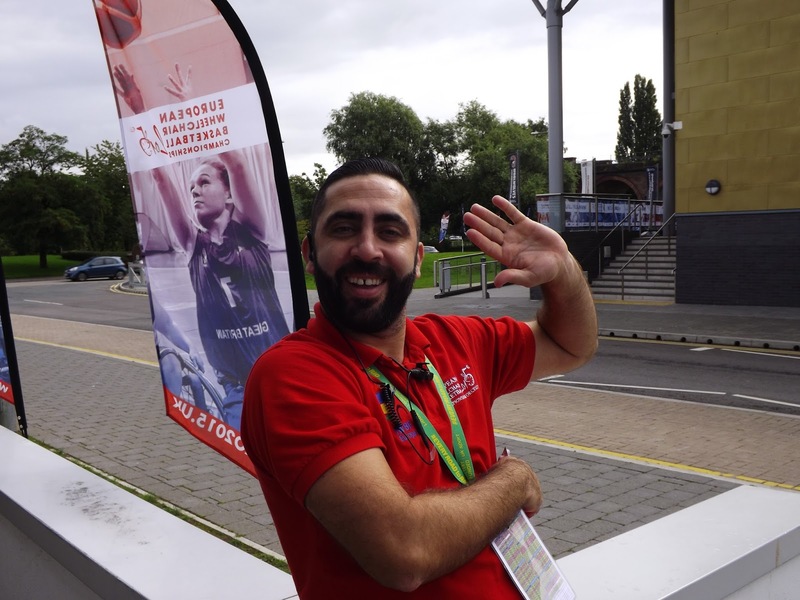 Andy is part of Sportserve who provide flooring, scoring equipment and everything in between to make a basketball game happen. Yet again I took an opportunity to ask Andy to be part of my story and he said yes. Andy, Will and their team were fantastic in everything they did to make the courts ready and you can see this on another time lapse video here. Vicky is another kind and caring table official that I have the pleasure of working with. Thank you for the pen and I am using at my games this season. Miles is the GB Women’s Head Coach. He was very accommodating by letting me take his photo at a tournamnet that was so meaningful for him and his team. 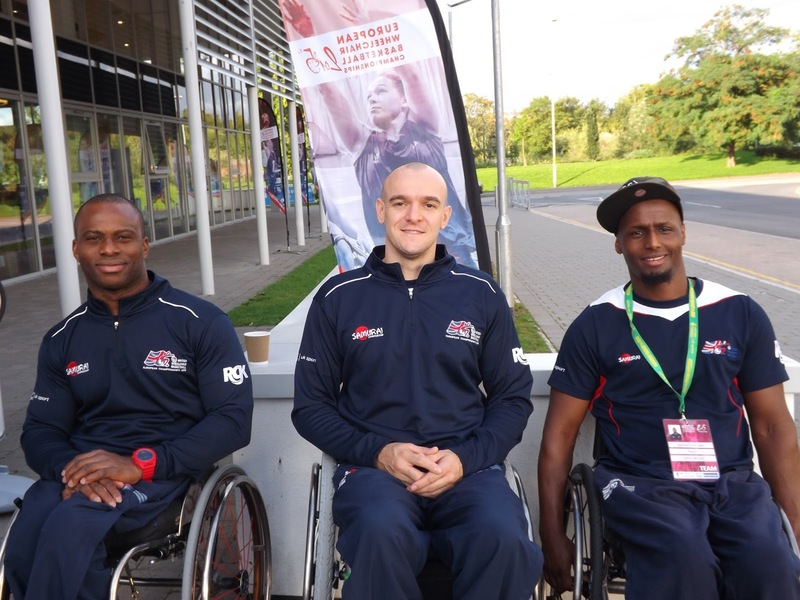 They won Bronze again and qualified for the Rio Paralympics, congratulations to you all. 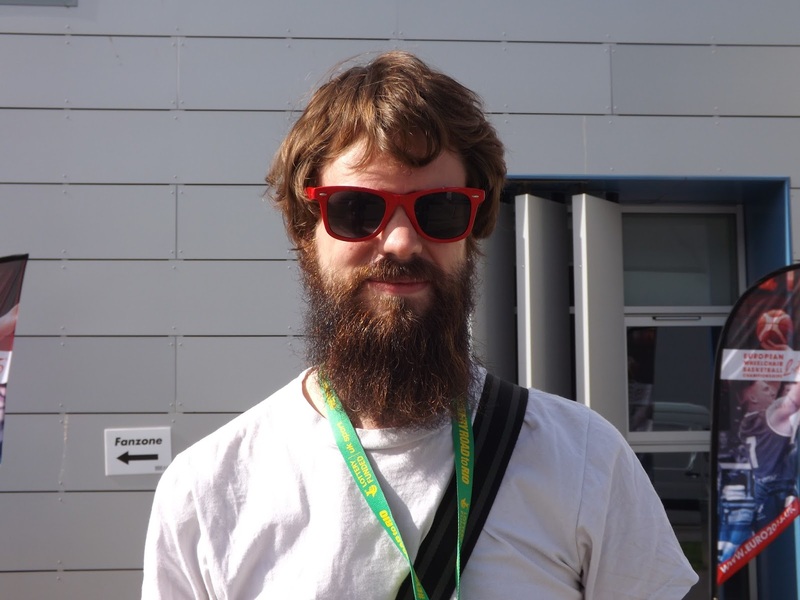 Sam volunteered in the fan zone for the majority of the time. He was another volunteer who put in some serious hours over championships. 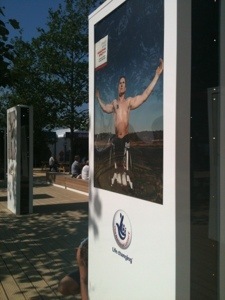 He was friendly, confident and got people engaged whilst in the fan zone. 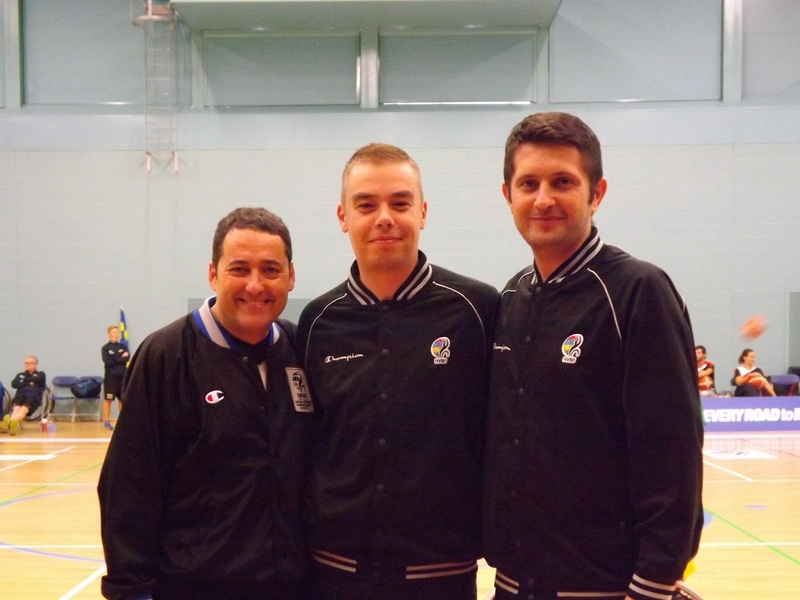 Ian, Saskia and Gabe are great officials to work with. It was my pleasure to take this photo, see you at a game sometime. Leive, is one of most amazing volunteers I have ever met. She always wants to do her best when she volunteers. I hope you make it to Rio. 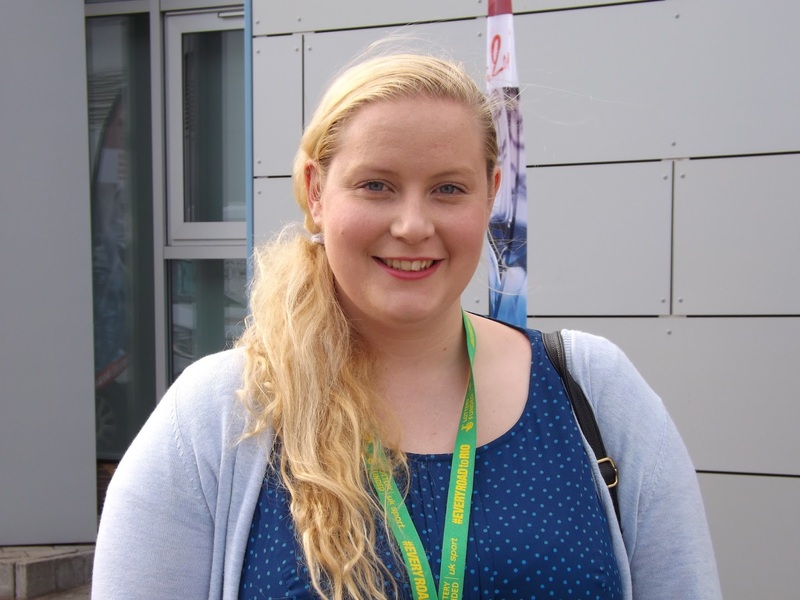 This lady is a Community Support officer for the University of Worcester, I met her on the first day of the championships. She had friendly vibe and said yes to having her photo taken but I can’t remember her name. Javier, Linas (Leen-as) and Sasa were officials I have never worked with before. 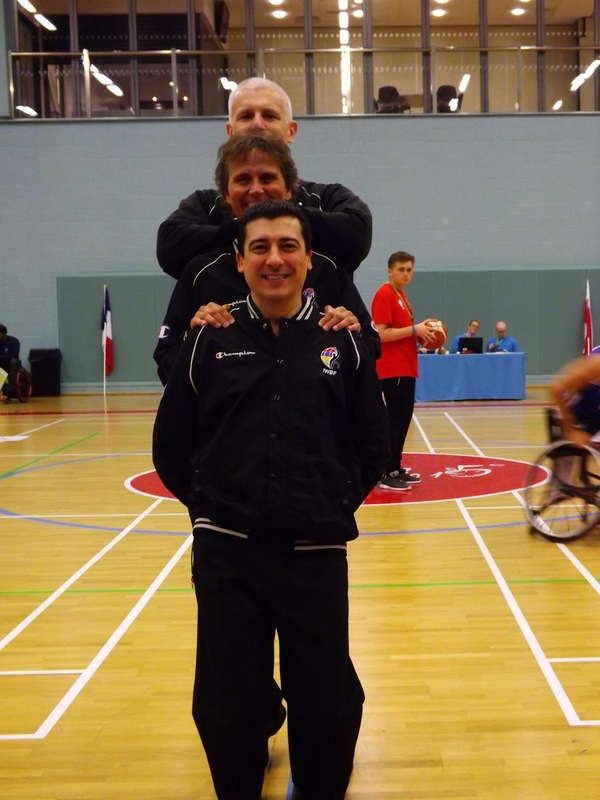 The thing I love so much about wheelchair basketball is you get to meet so many nice people from around the world. All photos have wording and I couldn’t fit on everything Sasa and the guys said to me, sorry. Rob and Dan are from Worcester and have developed into good table officials. 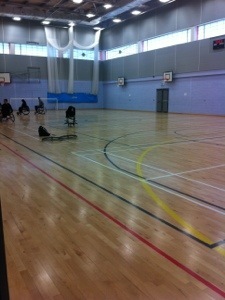 They are always pleasant to be around, take on feedback enjoy being involved with wheelchair basketball in Worcester. Keep thriving and being who you are. 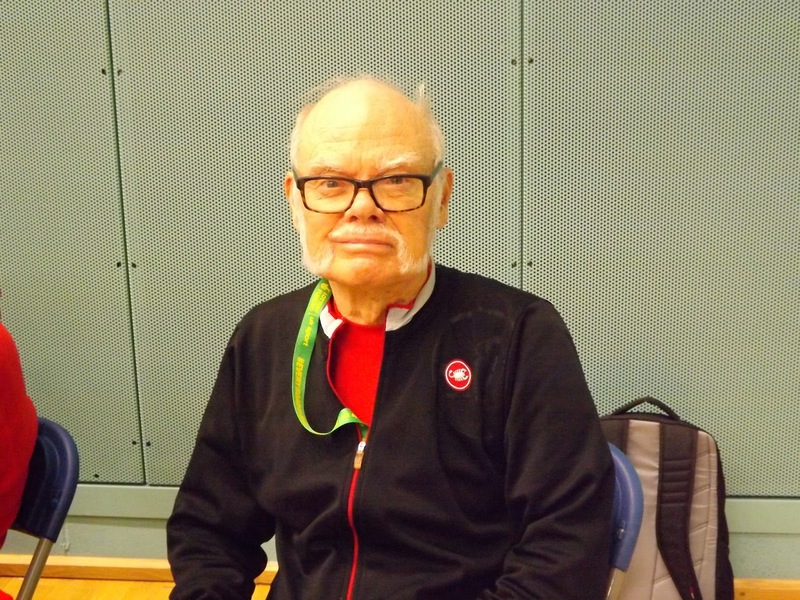 Allan was a commissioner at the championships, he always put me at ease working on the games. I look forward to seeing at another tournament. Thank you. The morning I took this photo of Ian and Calvin, they were busy in the Fan zone. Calvin was coaching some fans how to play wheelchair basketball. Ian was drawing pictures with a young child who didn’t want to get into a chair. 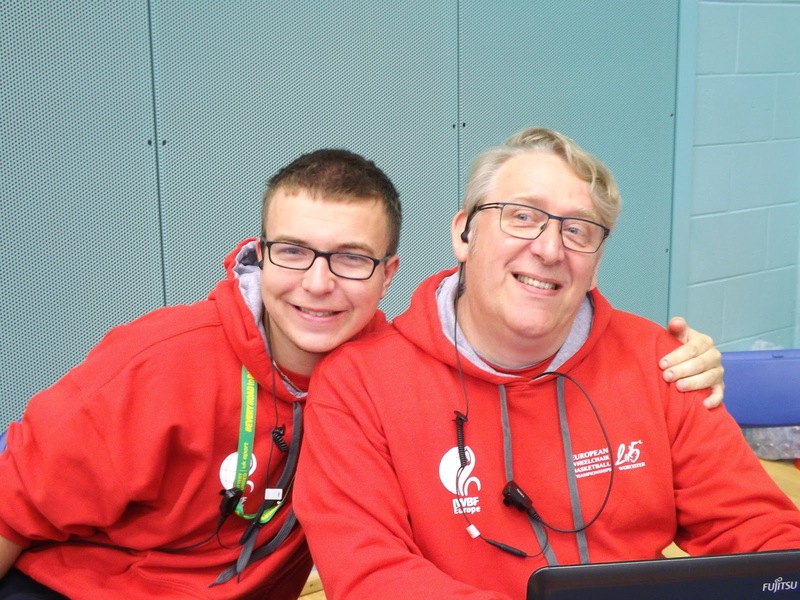 Being able to involve all members a family was great to see in the fan zone as this meant the family could stay longer and learn more about wheelchair basketball. 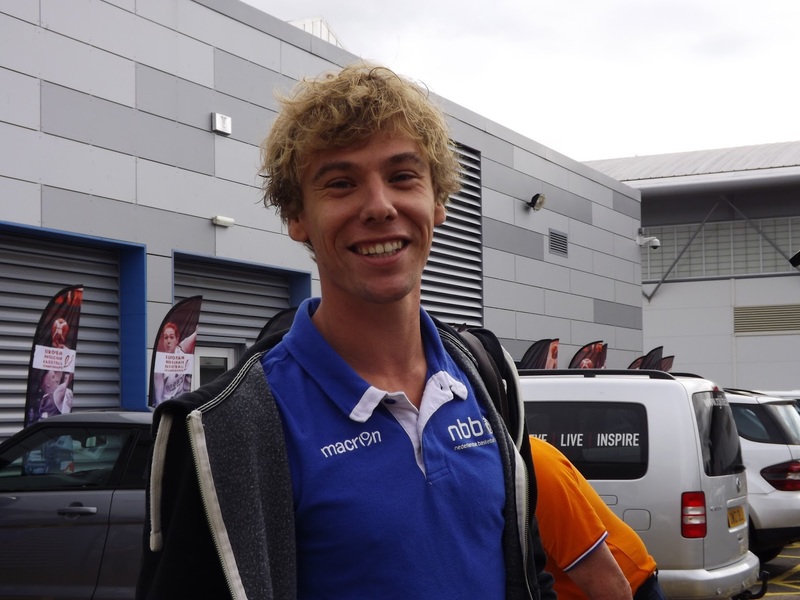 Toine is the team manager for the Dutch women’s team. 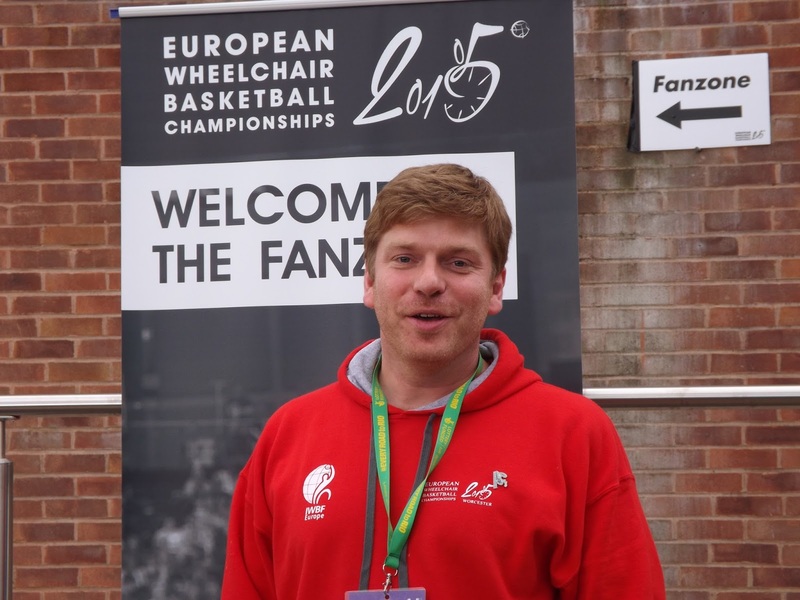 Another friendly face in the sport of wheelchair basketball. 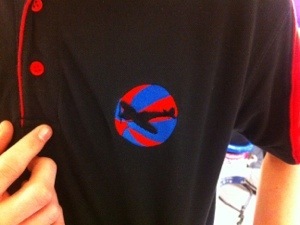 The team managers for all teams worked so hard looking after players and coaches, I really commend you. When I finally got Jay to stay still long enough to take this picture, he was tired and really busy. He was also losing his voice. 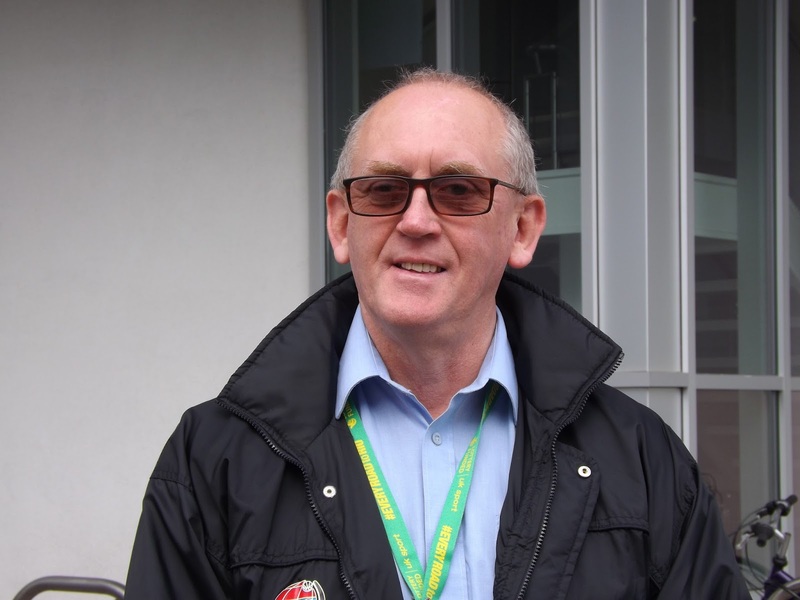 He and all the staff kept so upbeat even after the mega days they had put in. Wow!!! 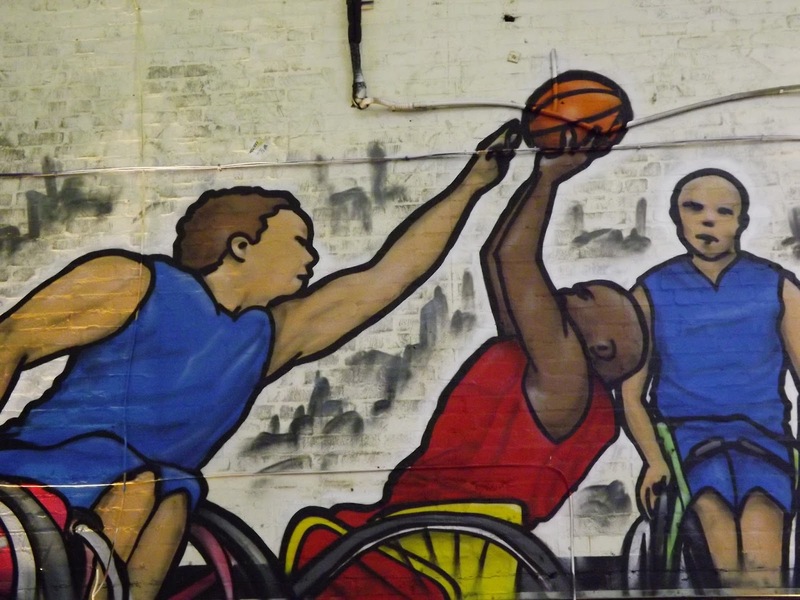 Jeff loves Wheelchair Basketball so much he flew from Chicago to volunteer. It blows my mind to see how far people will travel in order to volunteer for something they love. Ade, Ian & Abdi were grabbing a drink when I asked them to take this picture. The timing couldn’t of been more perfect, they had just won and made it into the finals. They won the finals and qualified for Rio. This series of photos was first shown at the closing banquet of the championships. There was a pianist playing whilst the photos were on big screens. 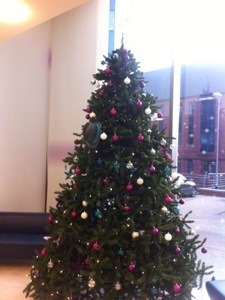 Hence the choice of music, this was added afterwards and fitted perfectly. When people saw their friends and colleagues they cheered. I can’t say how proud I felt to see how well my story in photos was received. The following quote resonated with me whilst making gifts for the athletes “By doing what you love, you inspire and awaken the hearts of others.” So I included it in my story, I love making things and if I can inspire others to get get involved in crafts or sport I will be happy. I would like to thank from the bottom of my heart every person who gave some of their free time to make gifts, shared my blog posts and tweets. Due to bad weather in the UK at the beginning of the year lots of games have had to be re-arranged. Fast forward to March 2013, when checking my emails when I saw an email from Alison Flower asking me to officiate at Stoke Spitfires. I’ve never officiated at Stoke before and was available to help out. Alison & Andy picked me up from the railway station with a full car of chairs, basketballs & people. 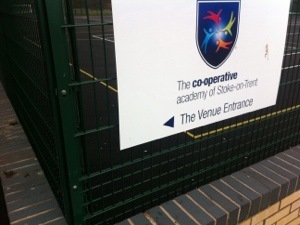 We arrived at their new venue a new academy school. 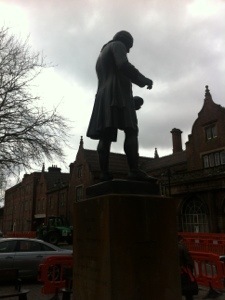 For me it’s been a long time since I was at school so the buildings used to educate the future generations have changed. For a stranger to a new club everyone was very welcoming and friendly from the Outset. As for the new venue the hall was nice but very cold, my hot water bottle will have to come with me next time. I was officiating with a parent who wants to get more involved at the club. She has a good knowledge of the game and picks things up really quickly. She also had me in fits of laughter, when the game wasn’t going on. With regards to the actual game, it was a great example of grass roots Basketball, with Stoke dominating in the first half. Sheffield Steelers brought it back in the second half and played hard but just couldn’t get close enough with a final score of 49-37 to Stoke Spitfires. 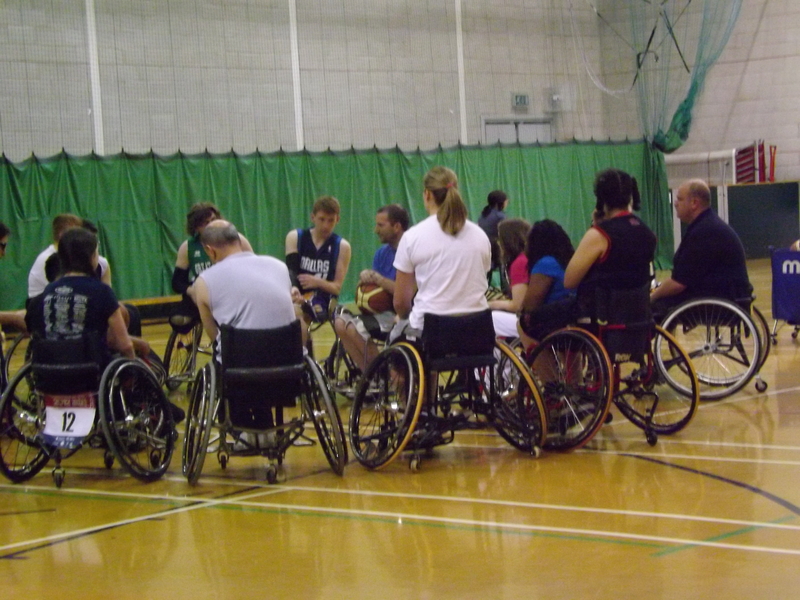 My day out in Stoke was lovely and makes remember all the good things I love about Wheelchair Basketball. See you guys in Coventry next week. 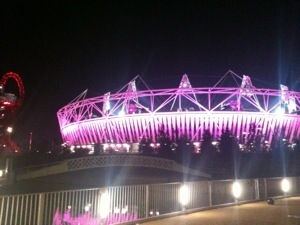 Nearly two weeks has passed after eleven days of amazing sporting performances ended. Whilst being at the Paralympics I was asked to celebrate with one of the Wheelchair Basketball clubs I officiate for in Great Britain. It turned out that another NTO was a statistician at both games, I table officiated, a referee lives locally & two of the children (Not pictured) carried the Olympic torch. It was lovely to share this evening with the children and parents of the club and I got a chance to wear my uniform again, this included my Trilby. 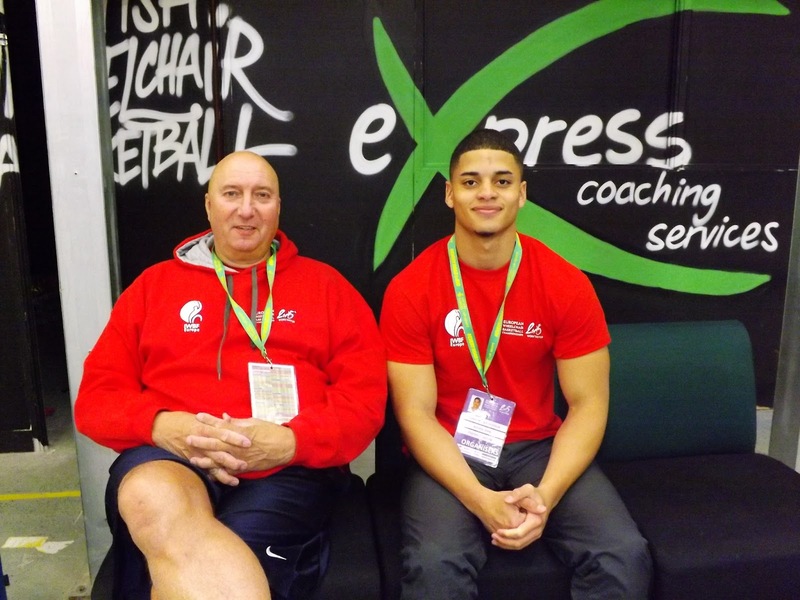 The Paralympics has had a positive effect on people’s awareness of disability sports and the Wheelchair Basketball club in Coventry has had increased numbers for training. 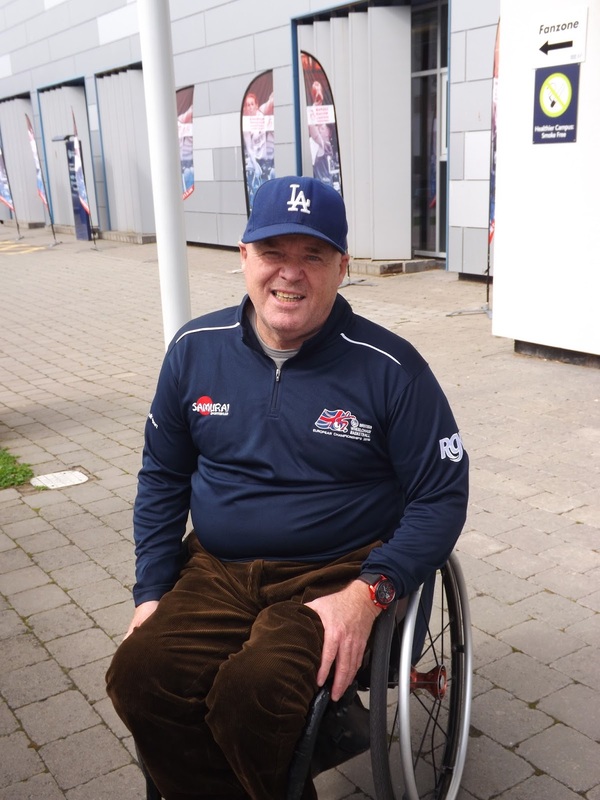 I am so proud and honoured to have had the opportunity to experience the Paralympics but what happens now? Well, the next two weekends will see the start of all domestic leagues in Great Britain who haven’t already started. The other thing that has started in Great Britain is the change of weather and this means the Basketball season is truly here. 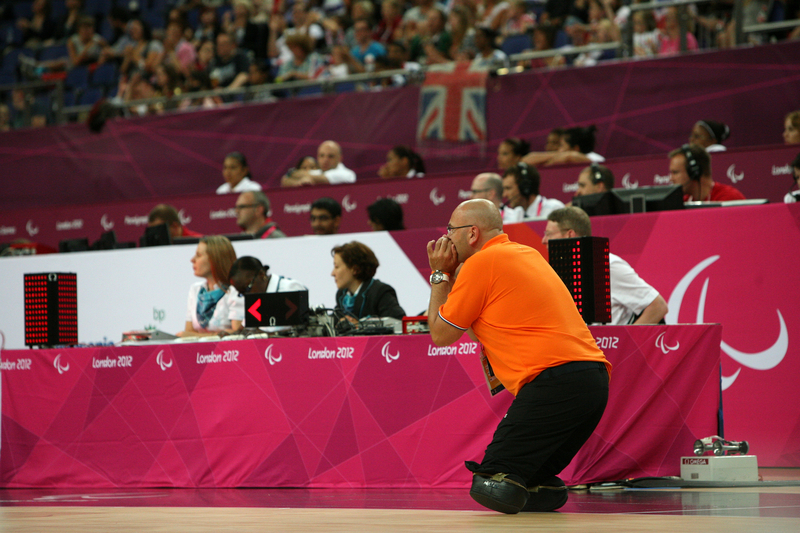 I intend to continue blogging throughout the season and sharing my love of Basketball with whoever reads my blog and asks me about the Paralympics. When looking through images that have captured the Paralympics I came across this one on Pinterest which has great composition. 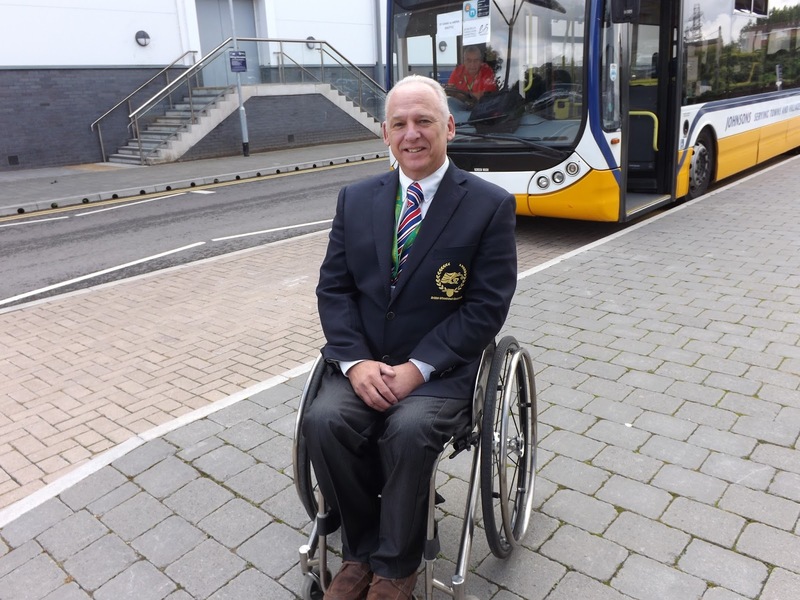 The reason for adding it to this blog is when I showed it to a colleague at my day job he didn’t notice the coach has no lower legs, he just thought it was a well taken photo. 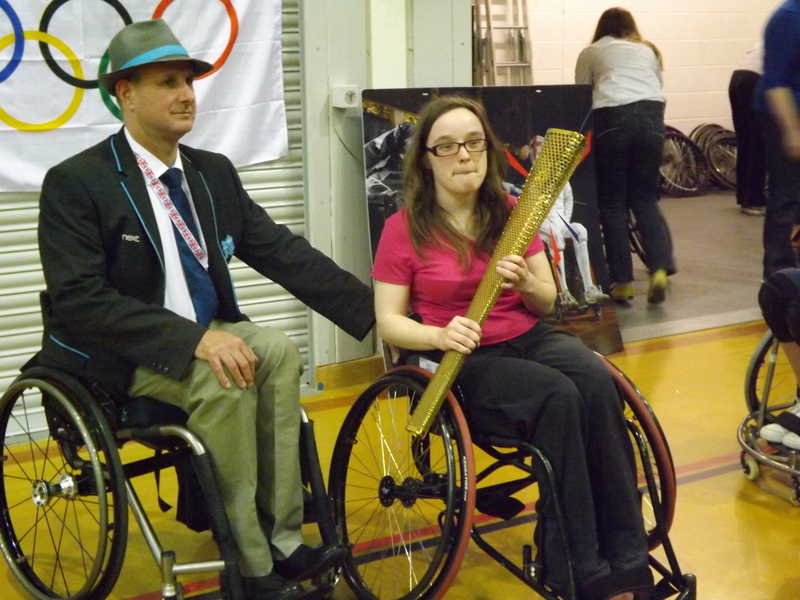 All the people I have spoken to have seen past the disability and see the skill involved in Wheelchair Basketball. Thanks for the photo Ben Smith. With three days of competition left, I am thinking about returning to the reality of my life. 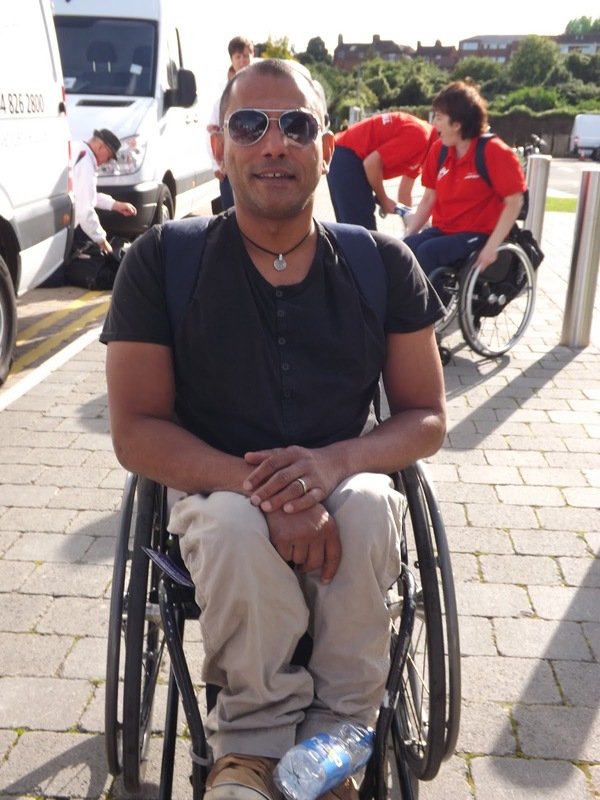 Before I embarked on this journey a few weeks I was asked what are you going to do once the Paralympics are over? I thought it would be easy to transition back but, maybe not. When you have the opportunity to be part of something so great it will always be hard. I have been very humbled and blessed by the support of my fellow NTO’s and ITO’s throughout this experience. Renewing friendships and making new ones has been fantastic. 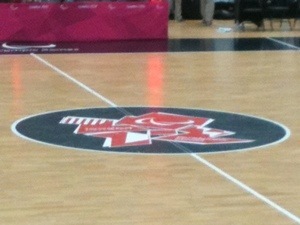 Yesterday was the last day of games at the Basketball Arena. 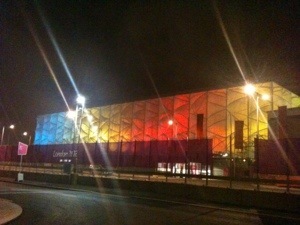 Some people might not know that the Arena is a temporary venue and will disappear from the skyline of East London. Yesterday we had a real summer’s day in London and so I went for a stroll on the park. I returned to the National Lottery Showcase and the photos have been updated. I overheard a lady say the photography was amazing. I thought the poem was pretty special. It is called Breathe. A colleague called Marcus was at the Showcase and got me to complete the quiz, I got 5 out of 7 question correct. I then went to chill before my game at 6.30pm. I was sat on a bench knitting when two armed police asked what was I knitting and knew there was a knit and purl stitch. It was a day of emotions knowing things in East London will never look or be the same. But life must go on and I am officiating another game today.